Item number Af453 from the MOA: University of British Columbia. 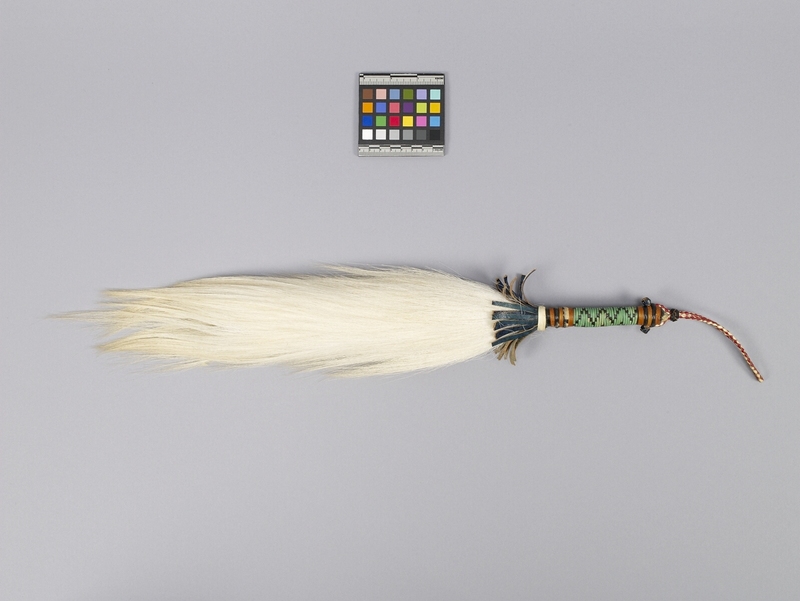 White animal hair whisk with multi-coloured woven leather handle. There is a loop of braided leather attached to end of handle with large knot. Where the handle and the whisk meet, there is a fringe made of leather strips that hang over the hair and is secured with a narrow white leather band. The handle is green, black, yellow, white and red.